The Dermot Earley Youth Leadership Initiative presentations that took place this evening. 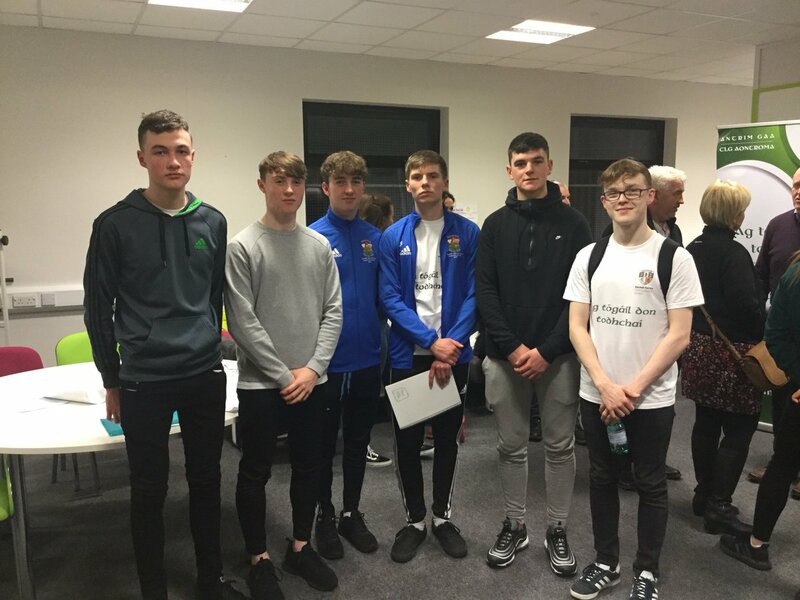 The group had to produce and present some research that they had undertaken on issues that are relevant to the GAA today. We had 4 groups, whose subjects included: Concussion, Mental Health Issues, Player Burnout and Performance Enhancing Drugs. They presented in front of a full house of parents, family members, coaches, club representatives and county officials. They were outstanding and the question and answer sessions after each presentation were extremely informative with each group displaying a great breadth of knowledge in their chosen subject. They, through their hard work, educated and informed the audience there this evening. They are a credit to their parents, county and clubs (St. John’s, St Enda’s, St. Brigid’s, Rossa, Lamh Dhearg & Eire Óg). 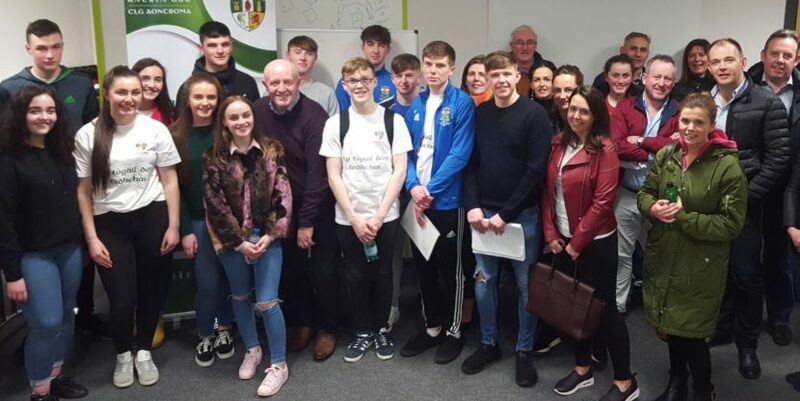 It has been a pleasure to work with such an exceptional group of young people on the inaugural Dermot Earley Youth Leadership Initiative in Antrim GAA.